Because I am a closet hippy with superstitions of religious proportions, I saved the first yarn I ever spun. 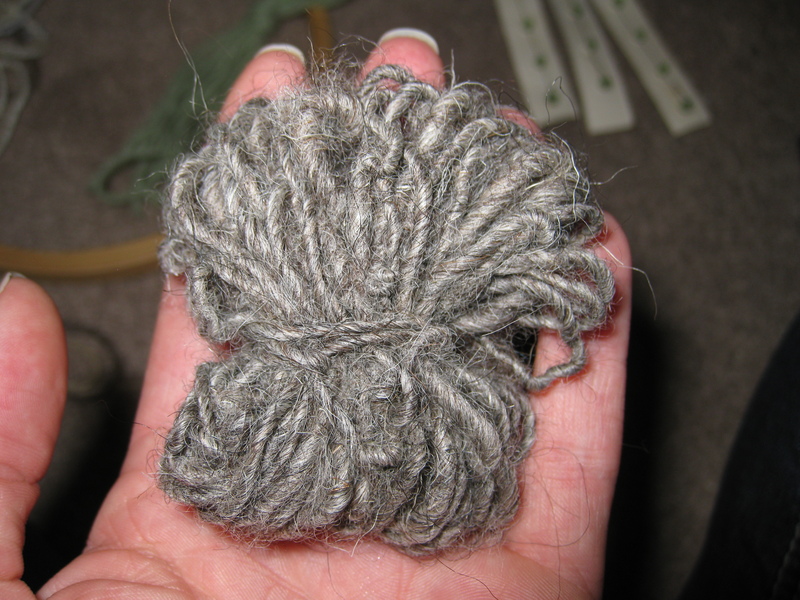 Making yarn is magic, and this lumpy, coarse, overspun wad of material is the first spell I ever cast. If you’ve been thinking about learning to spin, stop thinking and start learning. It’s not that hard, I promise. It, like so many other things (apparently), is like riding a bike. Once your body figures it out, it’s actually pretty easy. I recommend starting with sheep’s wool, because it is cheaper (and nostalgia aside, you’re never going to actually USE your first yarn for something). The individual fibers in wool also cling together better than alpaca, making it ideal for beginners. I also basically insist that everyone learns to spin on a drop spindle first. They always argue with me and try to skip straight to the wheel, especially the men. It’s just so much faster, they say. But I promise, it will be a train wreck. It’s kind of like rubbing your belly and patting your head at the same time, if you have never patted your head before. Good luck with that. 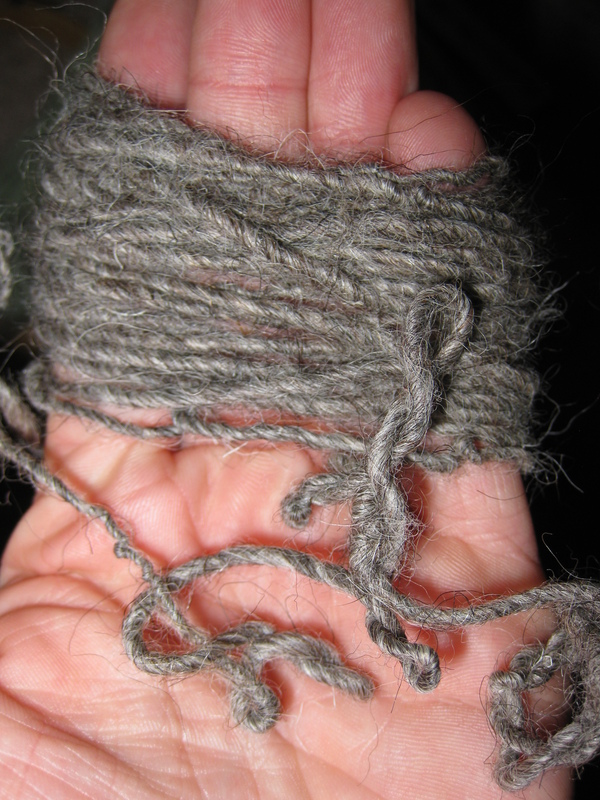 I spun my first ever yarn from corriedale sheep wool on a wobbly drop spindle, using YouTube for guidance. I saved it, and the first yarn all my friends have ever spun, because it represents my first step on a completely different path, a shot in the dark, trying without knowing I would succeed, and we all need reminders to take risks. This entry was posted in fiber art and tagged art yarn, different path, drop spindle, first yarn, handspun yarn, risks, sheep wool, yarn. Bookmark the permalink.